Professor Dr Rahat Munir is Head of the Department of Accounting and Corporate Governance, Macquarie University Sydney. 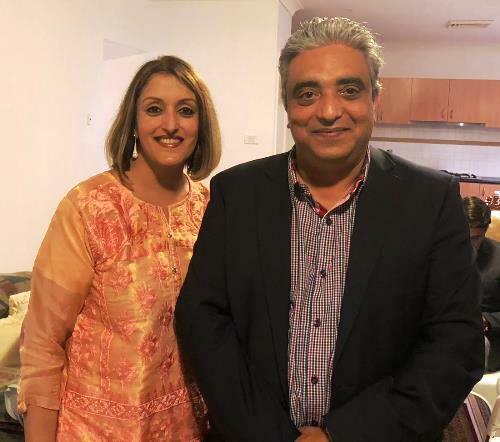 On Saturday, 29th Sept 2018, Prof Dr Rahat Munir and Mrs Meena Rahat hosted a dinner & Music party at their New residence in Beaumont Hills Sydney. The Consul General of Pakistan Mr Abdul Majid Yousfani, Consul Bushra Salam and prominent members of the Australian Pak/ Indian community attended the event and enjoyed food with music. Delicious dinner was prepared by the professional chefs of “Shaahi Tandoori” Restaurant, Enmore and famous local singer Saleem Zaman with others presented highly standard songs and Ghazals.